Elegant yet extremely comfortable and inviting was the look our clients wanted. As our clients host many family get-togethers, we wanted to give the home a classic, timeless look that oozes style and sophistication but also keeps it functional for everyday use. 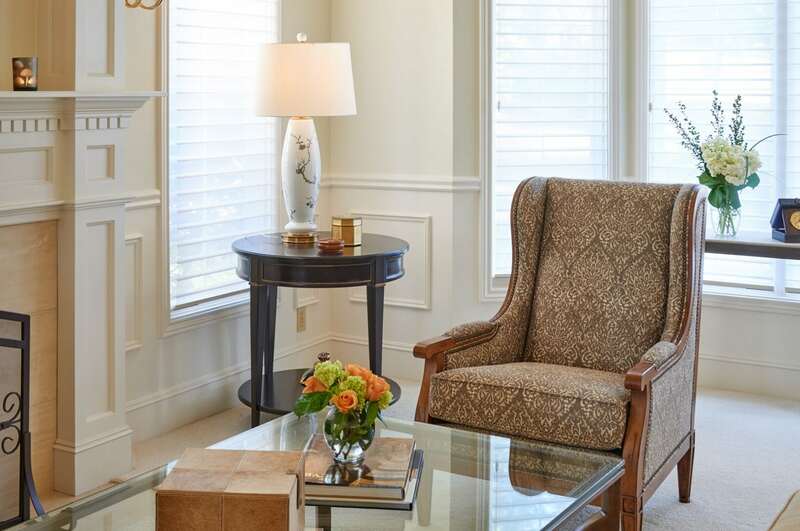 Traditional furnishings were given a fresh look through elegant upholstering and tailored silhouettes. We took full advantage of the versatility of textiles, adding high-end florals upholstering in the living room and nature-inspired wallpaper paired with timeless pinstriped fabrics in the dining room. 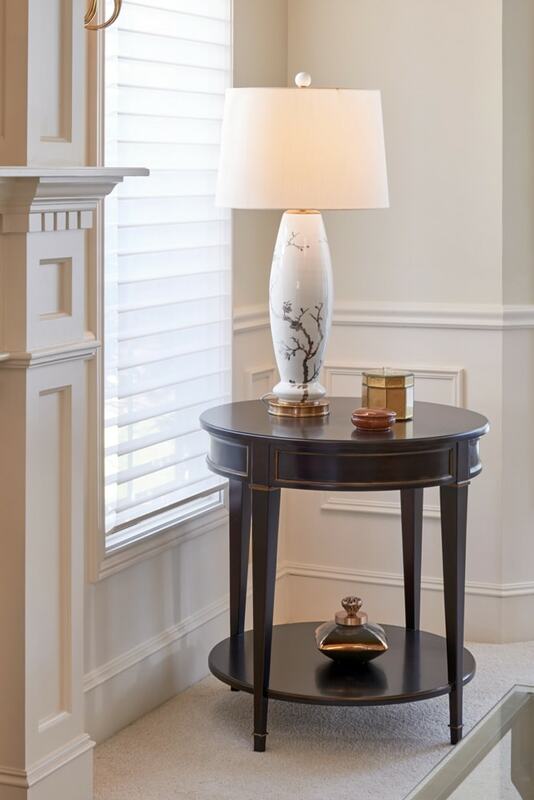 Magnificent woodwork balances out the plush fabrics and textiles, acting as a strong foundation to the whole design. This strengthened the traditional feel of the space, but the tailored look of the casegoods kept the home looking current and contemporary. Trendy brass can be found subtly placed throughout the home, presenting itself through small, detailed hardware, classic chandelier and sconce lighting, and decor.